WHY USE OUR LINK TRAINING? A process focused, actionable system to build a lot of high quality links. Broken down into 6 easy to follow modules that walk you through how to find and acquire high quality links. 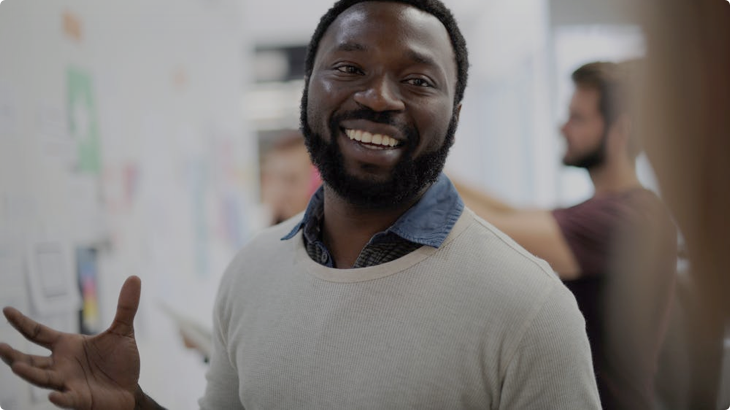 Videos are short, actionable and to the point - created to share with your team. Every video has a step by step PDF guide to download and use as a quick reference. 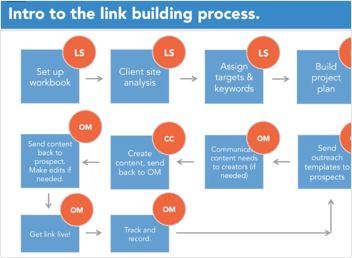 Each guide details a specific sub process of your link building campaigns. Pre built templates to help better manage your campaign. High converting email templates to help you close pitches, project management templates to help you stay organized. The core of what we do is link outreach, not link building. That means our process teaches you how to find niche relevant links and send high converting pitches to secure the link. Our processes are 100% white hat, Google approved and client friendly. This system is perfect for agencies looking to build a new stream of profitable income. Our processes are built to use low cost labor (in house or offshore) - simply pass these videos to your staff, our trainings will make them experts. 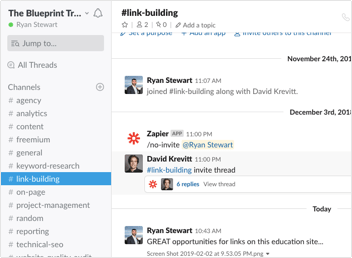 Get access to our private Slack Community where hundreds of other marketers are sharing incredible insights about their link building tactics. Our moderators (led by Ryan Stewart) consistently add more content to the platform. Some of the link types we cover. Over 3,000 SEO professionals have implemented the processes laid out in this training. It has quickly become the go-to manual for agencies to build profitable link outreach teams in house. But you don’t have to take our word for it. Our students are happy to share the results they’ve seen since using The Blueprint. 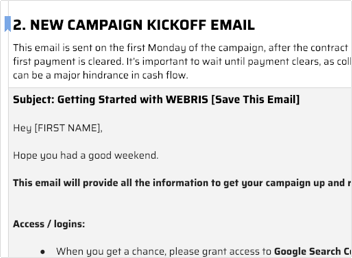 Access to The Blueprint (formerly WEBRIS) link building system for a full year. READY TO TAKE YOUR SEO AGENCY TO THE NEXT LEVEL? Do you update the course? This course was recently updated in 2019 but still contains a lot of the original material from the initial launch. 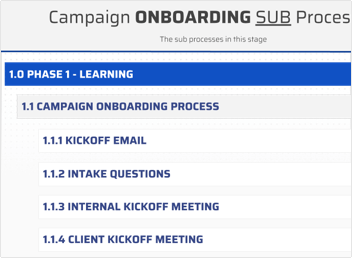 We have a full product roadmap which stipulates yearly updates to all of our trainings. This course will be getting a full remodel in Q2 of 2019. Is this the WEBRIS training? We originally launched this course in 2016 under our agency’s website, webris.org. We migrated all of our tools and trainings here, The Blueprint, in 2019. This is the same link building training course, just rebranded under The Blueprint. If you purchased before, your account was migrated. All previous course members were migrated into the new platform. You will retain access for 1 full year. If you cannot access your account, please contact support.